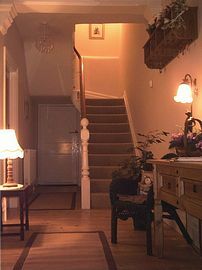 We are a small family run bed and breakfast in the rural village of llanybydder, our home is Victorian and has been renovated over the years but has kept many of the original features throughout. 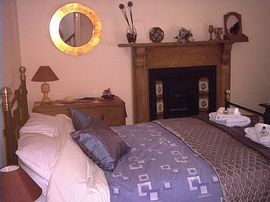 All rooms are of a very high standard with many extras so that our guests are comfortable and at home here with us. 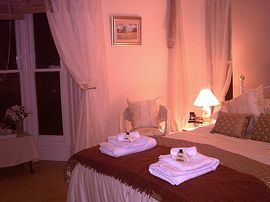 We have en-suite facilities, also a large private luxury bathroom with free standing roll top bath and separate power shower cubicle. 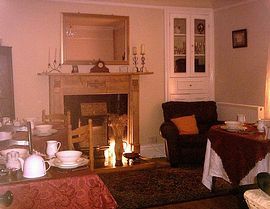 We serve breakfast in our lovely dining room, which has the original open cast iron fireplace. We offer a full choice of breakfast menu to suit all tastes; there is a collection of DVDs, books and games for our guests to feel free to borrow. 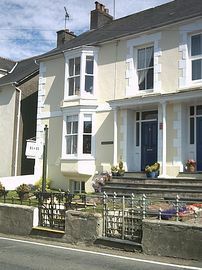 The university town of Lampeter is 5 miles, the larger market town of Camarthen is half an hour and the Cardigan coast is also half an hours drive away. Double: from £50.00 - £55.00. Smoking Facilities: Smoking is not allowed. Will allow outside in the rear garden. Aberystwyth A487 to Aberaeron-A482 then Lampeter-Llanybydder A485.